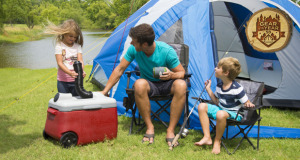 Summary : The Dometic CFX 35W isn't cheap, but it's also not an ordinary cooler. It's best thought of as an ultra-efficient, compact refridgerator/freezer. We fell in love with it almost immediately. 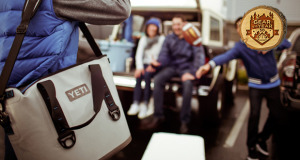 Just like you, I’ve been using coolers my entire life. 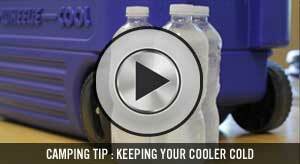 They were pretty much the same for a long time, and then roto-molded coolers came along. They increased the ice retention times by more than double and became one of the most coveted items in the outdoor space. They weren’t without their cons though. 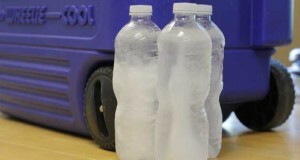 For maximum efficiency, you’re supposed to fill them with ice to precool them, and then add another round of fresh ice. All of this ice combined with a cooler that’s heavy to begin with means that you’re lower back is in trouble every time you have to move it. 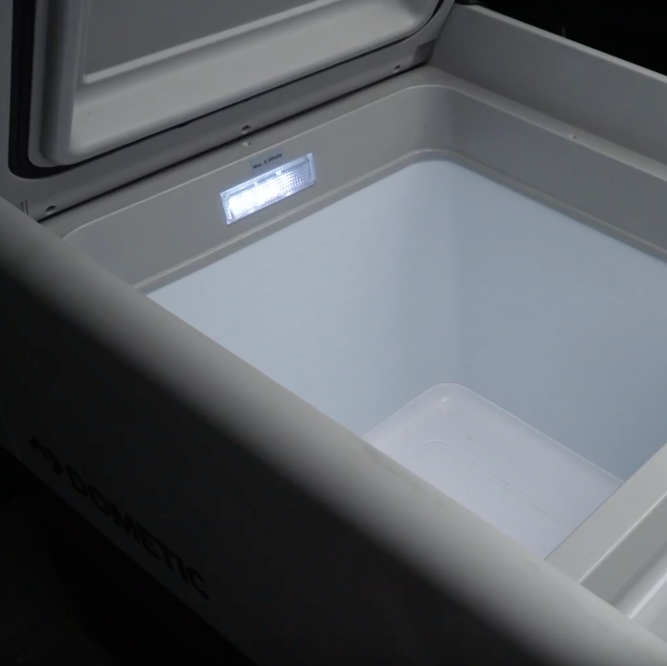 The next cooler revolution was that of powered coolers, and in my experience, no one is doing it better than Dometic. 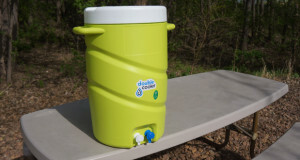 I bought a DC only cooler when they first came out. It took forever to cool down, and in my opinion was never able to get beverages as cold as they should be. I’ve been testing the Dometic CX 35W, and it’s just a completely different ball game altogether. It does everything I want it to flawlessly, and more. For starters, it isn’t just a cooler. It’s also a freezer that easily gets down to -7F. This is kind of crazy, and opens up a whole new world that outdoor enthusiasts aren’t used to. Think about busting out ice cream in a remote location. That would surprise a few folks, right? Or – if you had a big haul fishing, you could freeze your filets on the spot for maximum freshness. Total game changer. The CFX 35W has an ultra-efficient compressor, so it uses very little power. However, if you’re worried about DC battery draw, there is an app that addresses that! 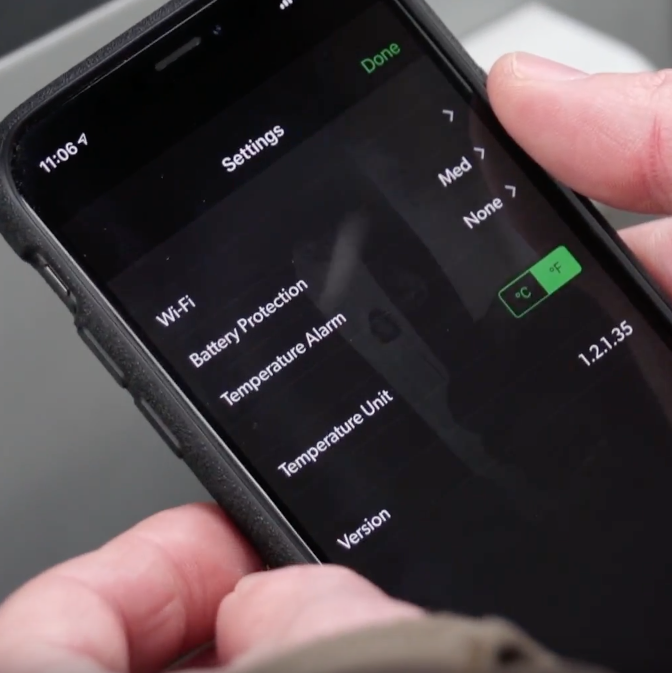 Dometic made a free app that connects via the wifi built into the cooler that can read your battery voltage. It won’t drain your battery beyond a certain point, so you’ll always have plenty of juice to start your vehicle. Pretty slick. 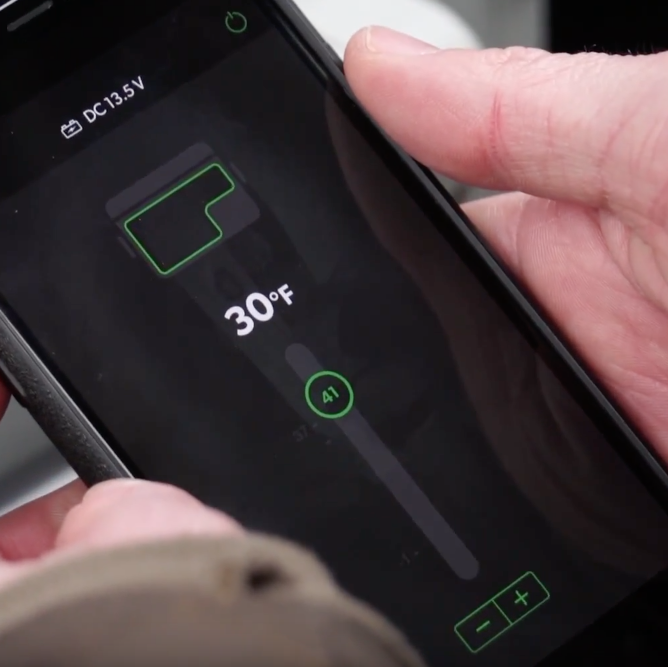 The app can also send you an alarm if the temperature deviates too much. This is a straight up money saver if you’re a meat eater because you’ll want to know if something ever goes wrong with your precious ribeyes. I was surprised to find that the CFX 35W actually weighs about the same as many of the 35 qt rotomolded coolers I looked at. 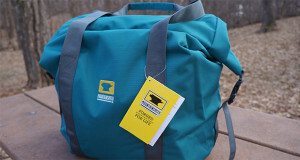 I would have guessed it to be heavier, but at 38 lbs I found it to be easily manageable. Is it cheap? Not really, but you have to consider how different it is from packing a cooler with ice. Nothing is wet, and my beer can be as cold as I want. 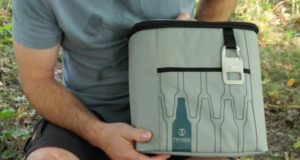 After hauling this ultra-efficient mini refrigerator/freezer from car to boat to campsite, I can tell you that it is indeed a superior experience to a traditional cooler, by a long shot. If you’re on the move and spend a lot of time in the outdoors, it will be a game changer you, and it’s worthy of serious consideration. 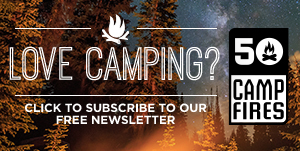 Next: The 50 Campfires Duluth Pack Scout Giveaway!